During the 1920s, football became a sport of the masses. FC Barcelona continued to attract huge amounts of support and was viewed as a dream team, comprising star players that became the first Barça idols, such as Samitier, Alcántara, Zamora, Sagi, Piera and Sancho. This legendary team saw a growth of its fan base, which “prompted” the construction of the football ground at Les Corts, in 1922; this was the first great Barça stadium. By 1923, the Club had in excess of 10,000 members. Matches played against Barcelona’s other team, Espanyol, Barça’s biggest rival at that time, were always met with great expectation from devoted football fans, who followed the team to all its matches. The team enjoyed many years of success at the Les Corts football ground. Ricardo Zamora, nicknamed 'el Diví' (the Divine one), left a great impression despite only playing three seasons as a goalkeeper and he is considered one of the greatest in the position in the Club's history. He made his debut alongside Samitier in 1919 and both players mark a before and after in the sporting story of FC Barcelona. Samitier was known by the nickname of “home llagosta” (lobster man) because of his acrobatics on the field and was the first major idol of Catalan football. He became a society figure and was often seen alongside artists like Carlos Gardel and Maurice Chevalier. 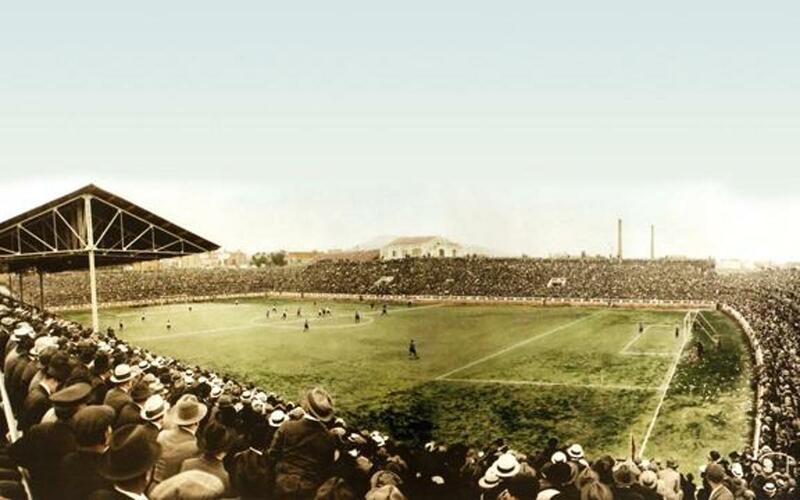 The stadium at Les Corts, opened on 20 May 1922, was the scene of the Club first expansion and golden age. It was one of the best football grounds in Europe at that time. It was designed by Santiago Mestres and Josep Alemany, and cost a total of 991,984.05 pesetas. It had an initial capacity of 22,000 spectators and successive enlargements tripled this capacity to 60,000. The Les Corts football grounds witnessed three decades of hope and glory, but also saw less successful periods. FC Barcelona celebrated its 25th anniversary on 7 and 8 December 1924, with two matches against Real Unión de Irun at Les Corts football ground. The occasion was also marked by the “III Challenge Pere Prat” race, in addition to an athletics convention with Spanish and French representatives. At that time the Club had 12,207 members. The most significant victory of the decade was the Spanish Championship (Copa del Rey) final in 1928. At the final, which took place in Santander, Barça beat Real Sociedad (3-1), after the first two matches ended in a draw. The goalkeeper, Plattkó, suffered serious injuries during the match and was the day's hero and his performance was commemorated in a famous poem by Rafael Alberti. For the first time ever, Barça’s victory was broadcast on the radio and the newspapers published special editions. On February 12 1929, a new competition began: the League. In only a few years, this competition would become the championship par excellence of Spanish football. It lasted four and a half months and FC Barcelona was the first champion with twenty-five points, two more than Real Madrid, which finished in second place. Manuel Parera had the honour of being the team’s first goalscorer in the Spanish League. However, this victory was not met with great enthusiasm at the time, as football fans thought that the League was an insignificant competition. In any case, the Club's record in that golden decade was extraordinary with eight Catalan Championships, five Spanish Championships and one league title.